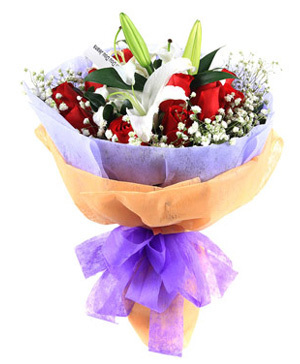 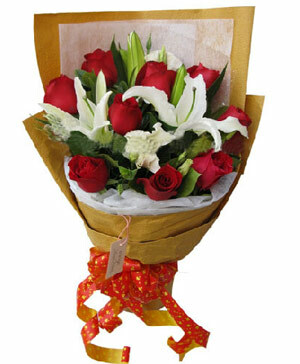 9 red roses, 2 white lilies, around baby's breath and gardenia leaves decorated. 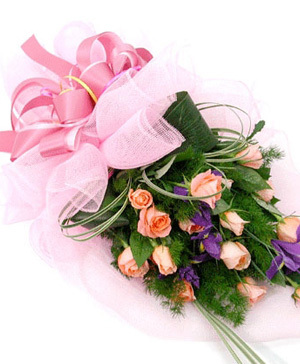 Light purple and orange paper wrapped. 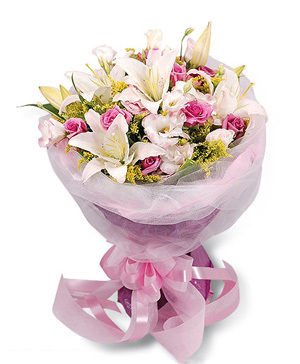 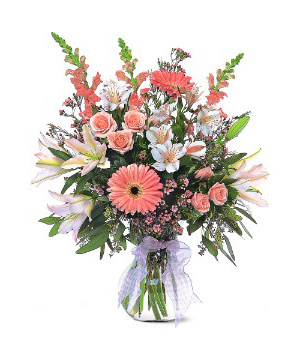 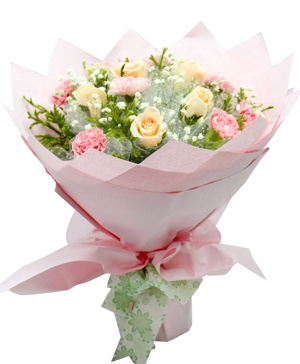 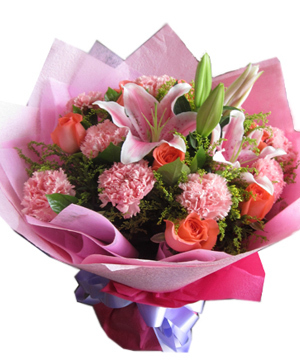 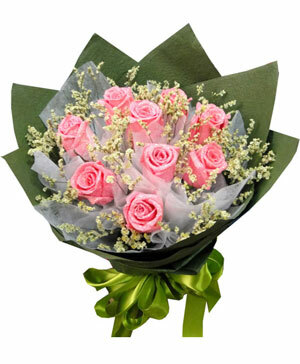 A simple and best bouquet for Birthday, Love and Best Wishes.